DO NOT USE TRAVELOCITY! « THE BRYCE IS RIGHT! This entry was posted on August 28, 2013 at 6:00 am	and is filed under Travel. Tagged: DO NOT USE TRAVELOCITY, Florida, palm harbor, The Bryce is Right, tim bryce. You can follow any responses to this entry through the RSS 2.0 feed. You can leave a response, or trackback from your own site. This article pairs well with the Value vs Price one, doesn’t it? Fast forward a number of years. I’m now a civilian, and I’m an employee of a small navy-oriented government contractor. They are so small that each employee is told to make their own reservations and submit the bills to the company. While we’re not permitted to fly first class, and the option to use business class was restricted to longer flights overseas, basically you had leeway to pick and choose your favorite carrier. Some people liked United, others liked other airlines and tended to use them whenever they could. Same thing with rental cars. I happened to prefer National, but my boss preferred Hertz. There was NO COMPANY policy restricting you to using one or the other “service” for your airline, rental car, or hotel. We had to adhere to government stipulated rates for reimbursement, but the company told us that if we could not find a hotel within authorized per diem and we were required by the customer to be there, just find a place and the company would cover the excess out of profit. Of course, they watched you carefully to make sure you didn’t book a suite in the most expensive hotel around. But, it worked well for the 4 years I was there until we were bought by another company. Then, L3 bought us out and we were told that WE could no longer make our own reservations. We had to use the company travel agent (out of Chicago) because they could get us a “better deal” than we could get on our own. We’d save all sorts of money. Oh, and we had to use a company issued American Express card. WE got the bill from AMEX and had to pay it, but in theory the company would reimburse us for the costs BEFORE the bill from AMEX came due. Yeah, that worked well for short trips. We had a kid in Denver from our Chantilly VA office for over a month. Needless to say, “policy” said he couldn’t file the trip claim until it was OVER, and the AMEX bill came due while he was on travel in Denver. In the end, the travel expenses were well over $10K to this guy, and it had to come out of HIS pocket until he returned to Chantilly and filed the claim with the company…which took them a month to adjudicate and pay. Meanwhile, HE’s out of pocket on the trip. So much for “policy” in big companies. Anyway, a senior guy in DC dutifully went thru that office, got his reservation for a DC to Denver trip, and the round trip costs were like $1400 for a non-refundable seat. He thought that was a bit out of line based on previous trips he’d made, so he went directly to UAL’s web site to book a seat on the same flight. He booked the seat NEXT to the one that the travel office booked on exactly the same aircraft. Cost? Oh, like $500. So, he called the travel office and cancelled his reservation through them, then he called the president of our division and bitched about the experience and showed him the difference in booking costs. He said that while HE wasn’t paying for the trip, he was still a taxpayer and resented the notion that we (the company) would be paying more for a trip than was NECESSARY, and the president relented and cancelled the policy requiring people to use the travel agent until he could check out the problem. Turns out, eventually we had to go back and use the travel agent, but ONLY after the head-shed in NY complained to the contract travel agent that they were NOT doing the job promised in the contract, and if they didn’t start cutting better deals on travel, L3 could cancel their rather lucrative contract. Amazing what a little “persuasion” can do for you. The moral of that story? While you CAN get a better deal with travel agencies (regardless of whether they are advertised on TV or not) – you can also run into problems. I’ve been TOLD by some of my former co-workers that when you book through places LIKE Travelocity, the rooms you get in those hotels usually are the ones that no one really wants – the ones by the noisy elevator, next to the noisy pools, or whatever. Yes, the hotel itself is 4 star or whatever, but like every business, there are rooms that are more desirable, and some less desirable. You get one of the less desirable rooms at those cheap rates. And, you never get to “upgrade” using your mileage or night-stay memberships either. Did you take this up with the airline? Credit card issuer? No, as I had done everything through Travelocity. I have suffered at the voices of these indians I refuse to talk to them I thought we only got them in Ireland! I now write letters to the parent company. The only way I book flights is directly with the air carriers. When Anne was ill last year Virgin Atlantic was brilliant they froze my flights untill I was able to use them. Thanks for the tip Tim. I actually will sometimes use these types of websites. I won’t be using Travelocity again though. Sorry that you had to experience such a run around no less loss of money. And I thought I was my own worst travel agent b/c I simply waited too long to book a flight so ended up paying well over $250 more than what it had been a week or so ago. Go Delta! Needless to say, all the flights were packed like a can of…well, you know. And can we talk about carry on luggage? This is the biggest time-waster in the land of flying. If I didn’t have to wait for all of youse to get yer bags o’ stuff from the cabinets above the hapless trapped flyers, we’d be off that rotten, OLD plane in triple time. Do we really need carry ons? But I digress which I readily admit is a bad habit, I apologize. I would never use Travelocity or anything that says you can get a nicer hotel room b/c we buy up cancelled ones…whatever they say, it raise weeks. Well, that’s easily rectified, of course. Move out. Yes, one gets what one pays for but shouldn’t these places be taken to task by some Head of the Cheap Programso are we and we deserve to be traded with in our own country with our compatriots. 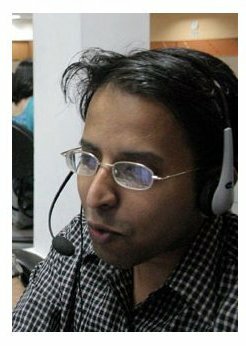 Those phone jobs in India, in case you don’t know, are considered “tony” jobs! Wha wha what?? They put you on mute..you can tell, whislt they figure out how to move on to the next hapless human on hold for how long? Better have an Ipad handy so you can play Scrabble or text madly. Sorry you had the problem with TravelAtrocity and thanks for sharing. I hope you got your proper credit back, too. Giving someone a “store credit” is so last decade. What a swindle that is, ya think? One last gripe about “swindles” so you will be aware: you sign up for a trial membership s Department? As to talking to India when you need a real problem solved, doesn’t your heart sink a bit? Yes, these are nice people working hard for a living. But or even a year to say, FindaFriend.com (fake site). The terms are it will “automatically” be renewed in a year if YOU don’t tell them to cancel it. So raise your hands…how many of you remember a year from now to cancel your subscription to XYZ.com? Right…not many unless you list it in reminders. Then you get a whopping charge for this “automatic renewal” on your charge card used last year by XYZ.com. This is fine if you like and truly use the site. My point is, their “automatic” renewals are a smooth way to make money b/c many of us (raise your hands again) do not check over our charge bills thoroughly (why do you think they use 6 pt. type?) and it would be very easy to overlook the automatic renewal fee. Voila! Into their pockets goes your money for a UNAUTHORIZED charge. IF the site had real scruples and ethics (remember those?? ), they would send you a reminder notice a month s red flags in my Don’t Even Like to Fly Mind, or live at a crappy hotel for twobefore your sub is expired to see if you want to renew. Right? Right. OK, I’m off my soapbox for now. Remember, though, if it’s too good to be true, it isn’t. And you can test the waters by calling tech support BEfore you sigh up with Travelocity of the ilke. If you get India or not the U.S. on the line, move on to a real travel agent. The extra cost will be worth it. It’s your vacay or an important biz trip. Who needs the extra hassles of what you went through. Sorry for those typos…too much coffee is my excuse.